Last but not least, the last #mcm of the year is our President, Edwin Qian! Edwin or “Ed” as we call him, is a senior business major and a Pi Kapp. Ed spent his childhood growing up in the North Dallas area AND abroad in Shanghai, China! When we say he’s been with IFC for what seems like forever, we mean it! Ed joined IFC his sophomore year with a cabinet position. It was about this time last year when he was elected to become IFC President. An interesting fact about his presidency is that he is the first non-white student in school history, as well as the first person from his chapter to be elected IFC President. How cool! When asked why he wanted to become IFC President, he told us that it was “a challenge and an opportunity” he could not pass on. Edwin was ready for it too! He wanted to make an impact on campus, but he said he also learned so much about this school and about himself while making many new friendships with this job. “Its one of those things you will remember for the rest of your life” Ed adds. Under Ed’s leadership, the IFC community set new records in everything it has ever accomplished! In his own words: “it has been an incredible ride and I am so proud of the transformation the council and the Greek community have undergone in the last 3 years”. Ed wants to give his most sincere gratitude to everyone who has been a part of his journey here at UT. Ed will finish his term at the end of this year. He plans to graduate in May 2015 and work at a consulting firm in Dallas; that is of course after he spends his summer doing what he loves the best—traveling all over the globe! For this week's MCM, we are happy to give a spotlight to our VP of Recruitment and Sammy brother Andrew Rubenstein. Andrew or "Ruby" as we know him, is a junior studying Finance. He assists the IFC in helping regulate recruitment for all the chapters in the Interfraternity Council and is also responsible for creating the rush pamphlet for incoming freshmen. It was a natural transition for him to VP of Recruitment, since he has previously served his chapter as a rush captain. Andrew loves his fraternity and wouldn't change it for the world, "I'm proud to be a Sammy because it allows me to meet a solid group of guys that I would not have normally had the opportunity to meet had I joined another chapter." When asked about his most memorable UT experience, he says that the latest Texas OU game was the most exciting experience he's had in school, "Even though we lost, it was the ultimate fan experience. Everyone stayed and sang "Texas Fight" after the game and I think the team truly felt like we were behind them." This week's #mcm is dedicated to our very own junior finance major and Sig Ep brother Tyler Alexander, who serves as the Director of Operations for the council. When asked what he loved most about UT, he instead reminded us that Austin is a huge part of the why this University is the greatest in the world, "I love music and food and the outdoors and Austin has a bit of it all and a great culture. I never spent a whole lot of time here beforehand and now I am in love with ATX." And it makes perfect sense. The man is a tried and true lover of the outdoors, and when he's not studying you can find him taking a bike ride or going fishing with family. Currently, he's planning to run for an officer position within his chapter and elections are tonight. We wish him the best of luck and are excited to see how he decides to serve his fraternity and the IFC. After a week off, #mcm is in full force this week with Junior Corporate Finance major Joey Reynolds! Joey is in Sigma Phi Epsilon Fraternity (Official) and currently serves as the VP of Greek Relations for IFC. Joey's favorite part about Sig Ep is playing basketball in their gym (ballin') and day parties in the front yard. Given 24 hours left on the Forty Acres he says he'd go swimming in the fountain. You also may or may not know that Joey is a color-blind twin. The more you know! This week's #mcm is our very own Assistant VP of Judicial Affairs and Texas Sigma Chi junior government major Spencer Young. UT flows in Spencer's blood, and his studies here are part of a very important bond between him and his father, which has only brought them closer, "Growing up my father, a UT alumni, would take me to as many Longhorn football games as he could. My most memorable UT experience was my first game with my father as a college student. It was a completely different experience that I'll never forget." Spencer has devoted many hours of work for his chapter, including currently serving on both of its Housing and Risk Management Committees, and he feels that the hours spent into helping his fraternity are crucial, "To be a Sigma Chi means you are part of a brotherhood in which everyone shares a willingness to help one another in any aspect of life whether it be day to day task or building bridges for those members that will come through in the future." Alex says his perfect day in Austin would include a UT football win (who would disagree with that) followed by Rainey Street and a Dirty Martin’s burger. He says his favorite memory at UT was having Robert Earl Keen play at the Fiji house. For Matt, Pike, and to a greater degree Greek life, has provided many memorable experiences for him throughout his college career - "My most memorable experience at UT is a toss-up between being in the stands with my friends when we waxed OU as the underdogs up at the Cotton Bowl last year and when fellow brother James Oakum missed his first chapter meeting." This week we want to give a shout out to our own VP of Communications and Texas Sigma Alpha Mu - Sammybrother Taylor Ellis. Taylor is currently studying Journalism, utilizing his skill set to lead the IFC's communication and PR efforts both on and off campus.His commitment to his fraternity and the University is apparent, not just by his work with us, but also by his leadership within his fraternity, which recently included his tenure as Brotherhood Chair. An avid sports fan, Taylor's most memorable moment naturally was centered around UT athletics, "My most memorable UT moment was being at the West Virginia game two years ago when they first played here in Austin. Even though we lost it was the loudest I had ever heard DKR." Sigma Phi Epsilon Fraternity (Official), Kyle Mason. Kyle is a senior double majoring in Corporate Communications and Radio, Television, and Film. In addition to serving as VPJA, Kyle has served as Sig Ep's Membership Development Coordinator for two years. Outside of the Greek system, he was previously a University Wide Representative in the Legislative branch of student government, and this year is the External Financial Director on the executive board. Heavily involved in student government, Kyle says his most memorable moment at UT was when he was elected U-Wide Rep after campaigning for a long two weeks. Joseph’s commitment to his fraternity is unquestionable. He is proud of his chapter and is especially passionate about the Fraternity's philanthropy work with the Navy Seal Legacy Foundation (formally known as the Wounded Warrior Project). It's clear he finds value and pride in Kappa Sig, not just shown by his work, but simply by how he talks about it. 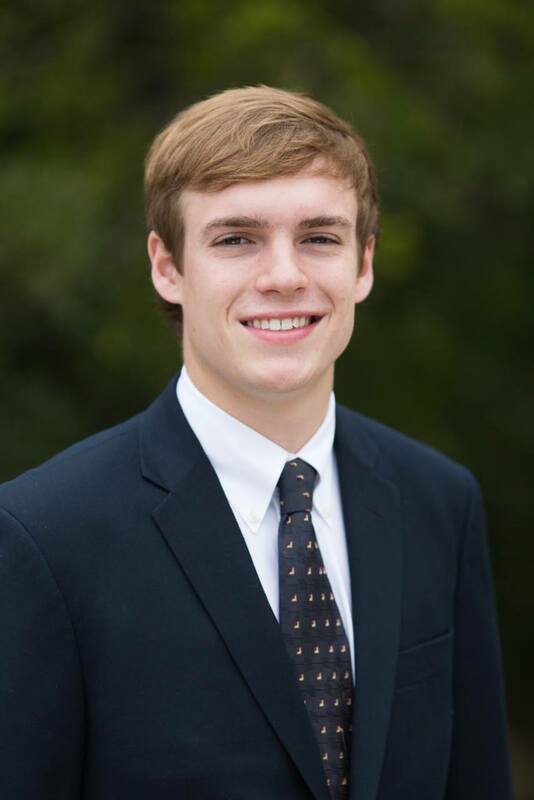 IFC Executive Vice President and Alpha Tau Omega Andy Webber is our#mcm. A junior, Andy is majoring in International Relations and Middle Eastern Language and Culture (Arabic). His involvement in ATO has consisted of serving as the Historian and on the Judicial Board. Additionally, he is in Texas Silver Spurs. A native of Boston, Mass., Andy enjoys snowboarding, soccer and watching football. David Ardis is a senior majoring in Economics from Shrewsbury, Massachusetts. His most memorable moment at UT was being elected president of Sammy, turning his lofty dreams for the fraternity into realities. "I'm proud to be a member of Sammy because, foremost, we put a priority on having a good time, while being able to foster an intellectual environment that affords our members many career opportunities." rich history of traditions with one of the finest being the excellence found within the Sorority and Fraternity community here on the Forty Acres. Many Texas Greeks have distinguished themselves as being among some of the most active and successful student leaders on campus. and social events. Fraternities also provide an excellent avenue for involvement on campus as well as opportunities to develop your leadership skills. Fraternity life at UT Austin is also unique compared to some other universities. One example is the fact that we do not have formal recruitment. Our informal recruitment process gives potential new members full flexibility to choose a place that is right for you! “The Gentleman’s Guide to Recruitment,” prepared by the IFC, serves as a perfect tool for you to begin assessing and gathering more information about all 26 IFC fraternities. I strongly encourage you to choose intelligently, as this is a decision that will last a lifetime! Once again, congratulations on your acceptance to the University of Texas at Austin. It is, indeed, quite an accomplishment! We love to celebrate our many traditions of excellence here, and I hope that you take full advantage of the amazing opportunity to join a fraternity by finding an organization with which you can align yourself. I assure you that fraternity life will enrich your experience as a Longhorn. Good luck in your collegiate endeavors, and I look forward to seeing you join the ranks of the prestigious fraternity men who have come before you. One of the many distinctions The University of Texas at Austin holds is its reputation of having one of the most influential and prestigious Sorority and Fraternity communities in the South. I want to take a moment to inform you about how you can get involved. and Fraternity community at The University of Texas at Austin has consistently developed men of character and men who have gone on to lead our school and state. So, take full advantage of the rush process. If you have any questions about recruitment, feel free to contact me or anyone else from IFC. Our information is available in this recruitment guide, as well as under “The Council” tab on our website. I encourage you to take full advantage of the recruitment process. I hope you decide to explore the UT community and ultimately find the fraternity that best fits you. AUSTIN, Texas -- On Feb. 29, the Alpha Nu Chapter of Sigma Chi at the University of Texas at Austin donated $10,000 to The Andrew McDonough B+ Foundation. Texas Fight Night, which first took place in 1976 as a UT Austin Greek event, has been revitalized by Sigma Chi as their fraternity’s annual fundraiser. Fight Night is a philanthropic boxing tournament hosted by Sigma Chi, where Greek members and other representatives from UT Austin join together to raise money and awareness for various causes. A few months before the 34th Annual Texas Fight Night, Sigma Chi chose to donate earnings from the fundraiser to The Andrew McDonough B+ Foundation. Earnings are gained through ticket sales allowing attendees to watch boxing matches as well as a musical performance afterwards. Past performers include Macklemore and Trinidad James. The proceeds from the event are then designated to philanthropic causes such as this year’s donation to the foundation. The foundation lives by three objectives: Do Good by providing financial and emotional support to families of children with cancer, Do Good by funding childhood cancer research, and Do Good by spreading the B+ message and helping others “Live Like Andrew,” according to the foundation’s website. On Feb. 29, Joe McDonough, the president of the foundation; Bob Helland of Arlington, TX, a father who’s daughter’s life was saved from B+ funding; and Congressman Michael McCaul of the US House of Representatives all came to speak with the chapter at the Student Activity Center. Through the leadership of Landon Mosley – Annotator for the Alpha Nu Chapter – and the chapter’s dedication to this cause, Sigma Chi was able to present the foundation with a check to the amount of $10,000. The Alpha Epsilon Phi sorority at UT Austin has also worked with the foundation, so they joined Sigma Chi during the event to present a check as well.